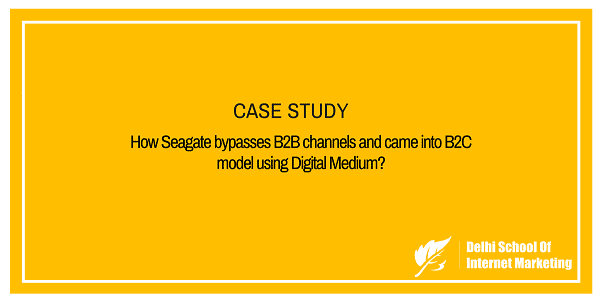 Case Study: How Seagate bypasses B2B channels and came into B2C model using Digital Medium? 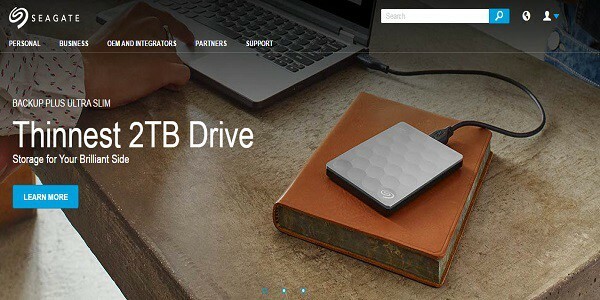 Home > Blog > Blog > Case Study: How Seagate bypasses B2B channels and came into B2C model using Digital Medium? Seagate is a data storage company that was incorporated in 1978 in America as Shugart Technology. It was started by Al Shugart, Tom Mitchell, Doug Mahon, Finish Conner and Syed Iftikar. The company came into being when Conner contacted Shugart with his idea of starting a new company to develop 5.25-inch Hard Disk Drives which Conner predicted would be a coming economic boom in the hard disk market. The company’s first product, the 5-megabyte ST-506, was released in 1980. The large units of hard disks were sold to IBM, the then- leading supplier of PCs, powered Seagate’s early growth. In their first year, Seagate dispatched $10 million of units to consumers. By 1983, the company dispatched over 200K units for revenues of $110 million. It has been providing storage devices at the heart of computers for more than 30 years with a net income of $1.57 billion in 2014 that grew to $1.7 billion in 2015. They make hard disk drives, solid-state drives and solid state hybrid drives. Seagate holds 40% of the HDD makers, Western Digital being on number two with 44% and Toshiba on number three with 16%. Major part of its business revenue generates from laptop drives sales through companies using its drives in their devices. In April 2008, Seagate was the first to boat 1 billion HDDs. According to CNet, it took 17 hard years to ship the first 100 million and 15 years to ship the next 900 million. Seagate brings major part of its laptop drive sales from the original equipment manufacturers (OEMs), which use the company’s drives in their devices. For many of the end users, these drives remain unidentified. Thus, Seagate had been indirectly bound to utilize B2B channels to reach end-users for the launch of their new storage devices. This time for the launch of their new solid state hybrid drives they just wanted to disrupt themselves and bypass traditional means and reach the end-users directly through B2C model. For the launch they wanted to invite their most influential customers such as gamers and other tech enthusiasts, with limited costs. Seagate wanted to craft a new launch model that highly emphases on viral marketing channels and utilizes digital media as a powerful tool to create content and engage with customers directly. [su_box title=”More Case Studies from DSIM” box_color=”#c7c7c7″ title_color=”#000000″ radius=”5″]1) How Airbnb used Referral Program to increase its booking by 25%? 2) How Starbucks leveraged the power of Social Media in their marketing strategy and increased User Base? Seagate thus decided to pull off an online episode for the launch with an aim to get minimum 1000 attendees. They partnered with CISCO to utilize its online tools “WebEx” which Seagate was already using internally for the company meetings. Once the digital medium was decided, the marketing team started concentrating on traffic generation for future webcast. It did so by igniting the flow of interest among analysts and the media through product demonstrations, by banners for the webcast displayed on the web pages of direct marketing partners such as Tiger Direct and Newegg.com, which was superbly boosted through social media. The whole campaign took nearly five months to accomplish. Seagate broadcast the online launch event from its office with four speakers and 1800 attendees. The extremely successful event generated more than 5000 leads. The event surpassed initial unit sales goal by 300%, doubling sales forecast within one week of launch. Apart from that, it created instant backlog of demand for Seagate’s new solid state hybrid drive. The event shaped the way of viral marketing with 4000 views of the webcast and 38,880 YouTube views of the webcast in 4 month period. Within two weeks of the webcast, its OEMs were enquiring about the solid state hybrid drive and demanding samples, because their customers were demanding it. Typically, OEMs don’t co-brand other companies components, but due the high publicity generated because of the webcast, there was change in the approach of the OEMs, now they were open to the new marketing opportunities with solid state hybrid drive by Seagate. The remarkable response to the online launch event showed up a sure-fire, low-cost strategy for engaging consumers and creating an impression together with them.